The SM5C24N is a vandal resistant 6” surface mount compact polycarbonate dome from Videolarm that is designed to provide high camera protection when used in multiple surveillance installations. The SM5C24N surface mount dome comes with a 50va plug-in transformer, a heater/blower, a clear dome w/ 24Vac input, plus vandal resistant properties, and a 24VAC to 12VDC internal power supply. 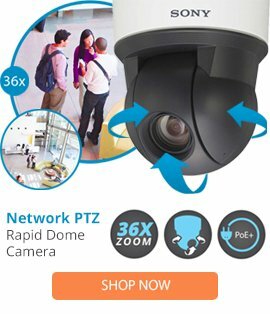 This professional dome camera system is ideal for use in many locations, and can provide simple setup for all operators. 8 x 16 x 12"